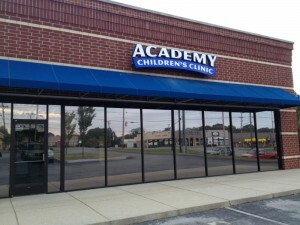 Academy Children’s Clinic was opened in October of 2013 with the goal of providing exceptional care to the children in Southeast Nashville. Every staff member at Academy strives to treat our patients as family. We understand that you have many choices when it comes to the care of your child and we thank you for entrusting us with that care. Our doors are always open. Mission Statement: Academy Children’s Clinic is dedicated to providing excellent pediatric medical care in an environment conducive to growing, learning, and excelling. Its providers are committed to actively promoting healthy living, educating families, and practicing with compassion and caring.